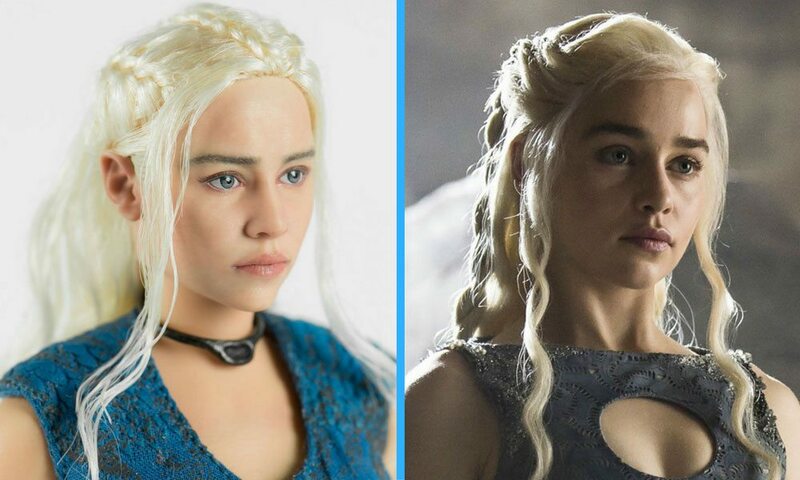 ThreeZero’s Daenerys Targaryen action figure may have the best face sculpt for a sixth scale figure yet. 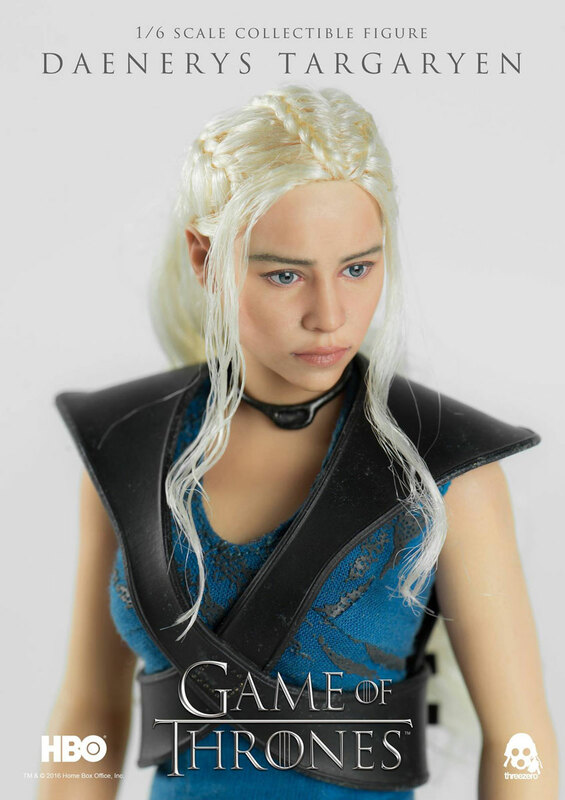 ThreeZero has revealed the latest addition to their Game of Thrones line (which includes Jamie Lannister and The Hound so far), a sixth scale Daenerys Targaryen action figure. 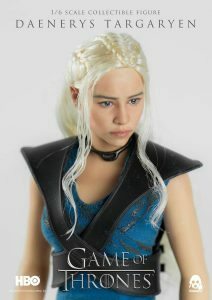 Now, over the past few years, ThreeZero’s figures have been getting better and better, particularly in the sculpt area. And with this Daenerys Targaryen figure, I think they might have produced the best face sculpt I’ve seen for a sixth scale figure yet. 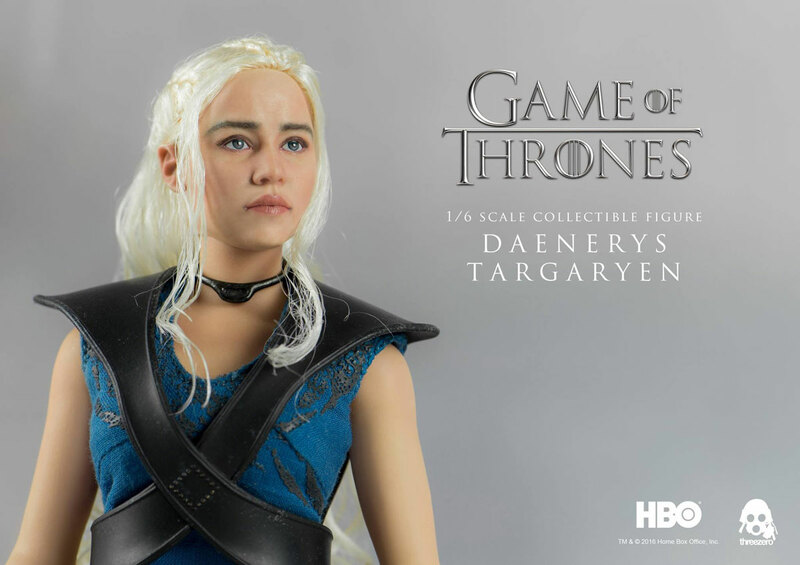 Even more impressive, they’re offering their exclusive version of the figure for under $200, so, uh, watch your butts, Hot Toys, is all I’m saying. 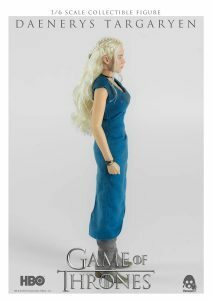 The figure will stand approximately 10.2 inches (or 26cm) tall. 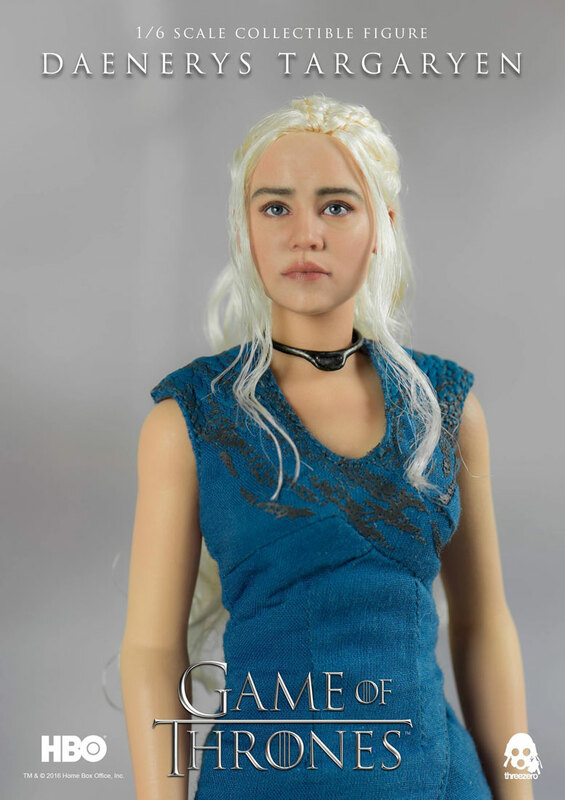 The face features a “highly accurate realistic likeness” (I’ll second that), with rooted hair, and a soft PVC dermis for the arms and torso. What Kind of Accessories Does She Come With? 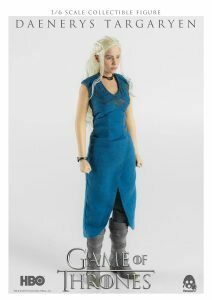 Daenerys comes with three sets of interchangeable hands, including fists, holding hands, and open hands, Kraznys’ whip, and a sweet layered costume featuring a cloak, tunic, pants, vest, and necklace. In addition, as she is the mother of dragons, she comes with a detailed figure of Drogon, who is roughly 3.5 inches (9 cm) long, with an 7 inch (18 cm) wingspan. 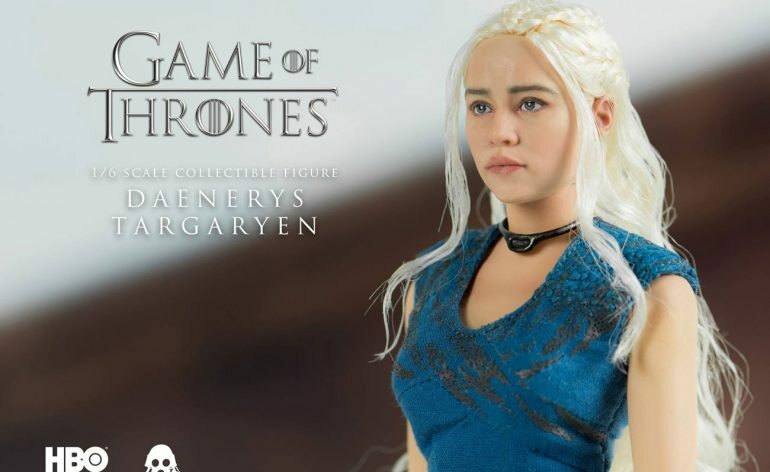 Now, if you go for the exclusive version, available through ThreeZero directly, you also get Rhaegal and Viserios, who are both roughly 3.5 inches (9 cm) wide and long, with their non-spread wings. You also get a perch you can place one of the dragons on. 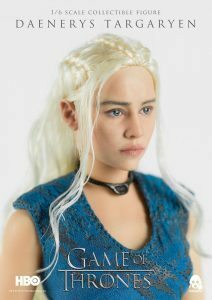 Will Daenerys Targaryen Light Me on Fire If I Disagree With Her Policies As a Ruler? Yeah, probably. Best to just do what she says. 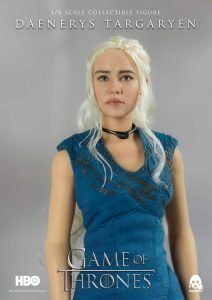 How Much Does the Figure Cost, and Where Can I Pre-order One? ThreeZero is offering pre-orders for both the regular version of the figure for $168 and the exclusive version of the figure for $180 on their website for a limited time. 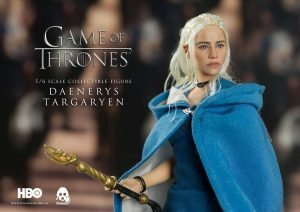 With just a $12 difference, I’d say go for the exclusive if you’re going to pick this figure up. 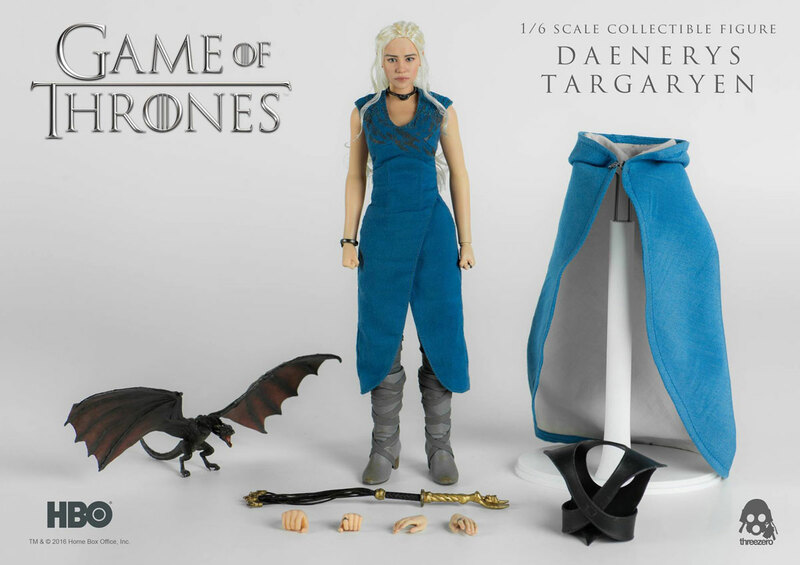 Three dragons is better than one. 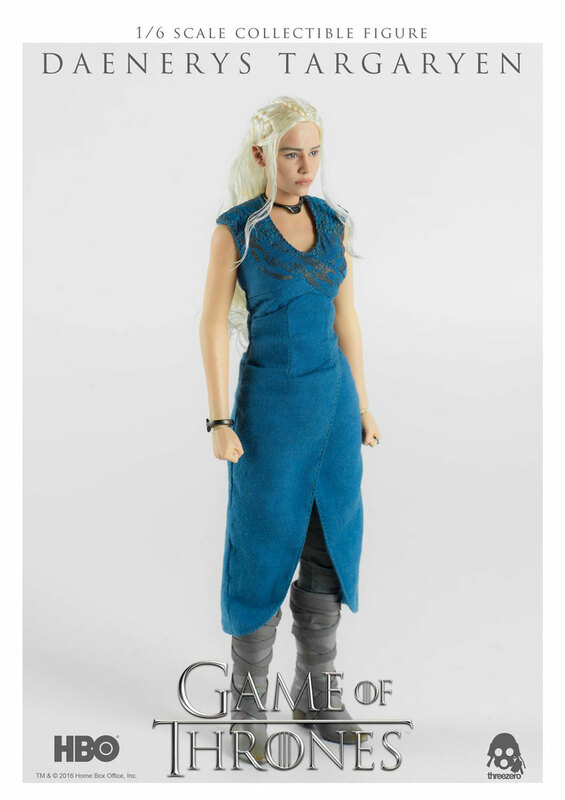 And When Will the Figure Be Available? 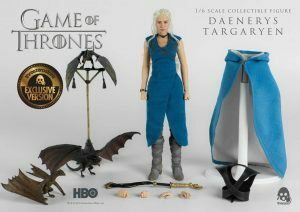 ThreeZero is saying the figures are expected to start shipping in Q3 2017. 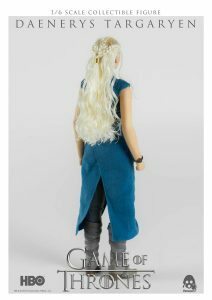 Mcfarlane Toys Game of Thrones Jon Snow Update!